The City of Oakland lost a big whistleblower lawsuit yesterday in federal district court. 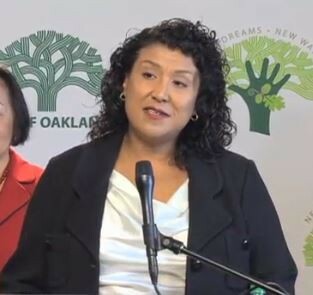 The case, brought by Daryelle Lawana Preston, Oakland's former director of employee relations, included allegations that a top Oakland official pressured her to falsify reports to the city council, and that other Oakland officials improperly negotiated labor contracts with city unions, and willfully violated labor union contracts. Preston said she was punished, and ultimately fired, for speaking up about these activities. A jury agreed with Preston, awarding her $613,302 in damages. Preston also alleged that Santana asked her to lie in an oral report to the city council. The lawsuit charged Santana with depriving Preston of her federally protected right to free speech. The judge dismissed this charge against Santana, however, leaving only the city of Oakland as the defendant. Preston also alleged that Oakland Fire Chief Teresa Deloach Reed improperly negotiated with the city’s firefighters union without authority to do so, and that Santana condoned the activity. Finally, Preston alleged that City Treasurer Katano Kasaine violated the city’s contract with the union SEIU 1021 by refusing to collect dues from part-time employee salaries for several years. After speaking up about these activities and refusing to cooperate with actions she believed to be illegal, according to the lawsuit, Preston was fired by Santana on October 13, 2013.